OPEN HOUSE SAT. 1-3. 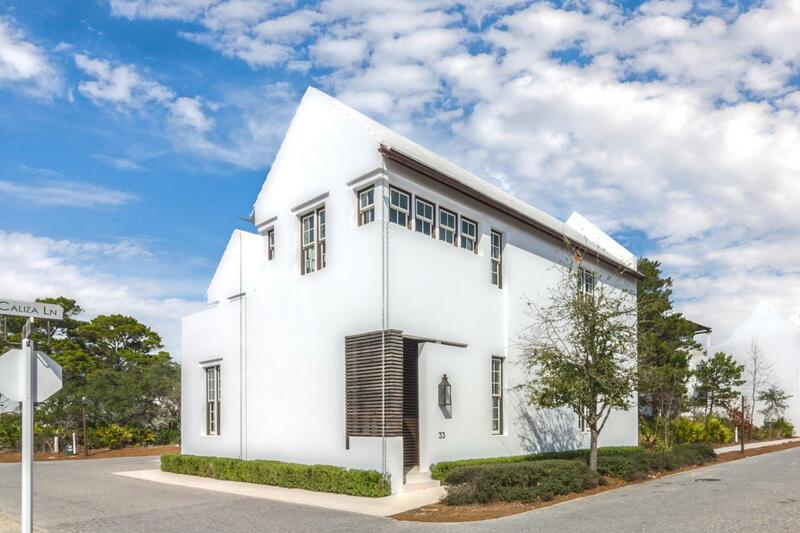 Dramatic Renovation just completed to this Gorgeous Alys Beach home on private corner lot. Fantastic location steps from Caliza Pool and the 15,000 s.f. Zuma Fitness Center under construction. This home features wonderful outdoor living spaces including an enclosed courtyard and pool with new mosaic tile inlays and large private 2nd story sun deck both great for entertaining and sunning. The open floor plan boasts a large gathering room and kitchen for family and guests. The expansive layout includes a newly designed master suite, separate guest suite, separate downstairs suite and 4th bedroom en suite. Newly installed natural stone flooring throughout is enhanced by the freshly painted interior and exterior. The extensive renovations include luxuriousmarble walled bathrooms and floors with Quartzite counter tops and new plumbing fixtures throughout. Other new renovations include HVAC, copper gutters, pool pumps and newly tiled outdoor stairs leading to guest suite and outdoor shower. Also unique for Alys Beach is the enclosed 2 car garage with extra parking.